Yesterday, Marvel Studios chief Kevin Feige unveiled what is quite possibly the most influential infographic in Western history: Marvel’s Phase 3 timeline. With a calm prescience befitting the late Steve Jobs, Feige informed all what media we’d be consuming until well into the 2020 presidential campaign. And as it spans four years and nine movies, it was a lot of news to unpack. 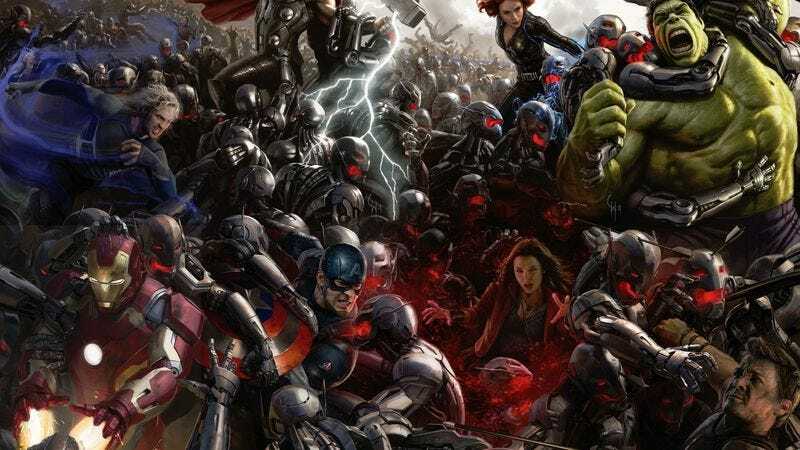 Fortunately, Deadline was able to tease out a few more exclusive details from Feige, specifically regarding character diversity and how the movie plots would intertwine. With Black Panther and Captain Marvel, Phase 3 introduces standalone films around an African American and a female superhero, respectively. (Possibly caving to protests from Sorcerer’s-rights groups, Marvel is also producing a film around Doctor Strange.) And while Marvel has featured African-American characters before in James “War Machine” Rhodes and Sam “Falcon” Wilson), Black Panther is much more ambitious, with Chadwick Boseman signing to a five-picture deal and potentially infinite money. As a “cosmic” being, Captain Marvel can also connect the Avengers to the long-simmering Thanos/Inifinity Saga storyline. Thanos’ crowd-pleasing blue smirk was introduced in a post-credits stinger to the first Avengers film, and he also factored into this summer’s Guardians Of The Galaxy. And yesterday’s Marvel event featured a quickly bootlegged teaser of Avengers: Infinity War that saw Thanos clutching the Infinity Gauntlet. Perhaps sensing the onset of cluster-headaches triggered by this Gordian Knot of storylines, Feige helped simplify things by discussing characters who are not getting their own films anytime soon—namely, Black Widow and the Hulk. While Black Widow “couldn’t be more important as an Avenger,” Feige suggested that her character was better suited to propelling the overarching storyline. Less was said about the Hulk getting more solo films—though we already got two, and all we really wanted to see was this and this. To sum up: Everything is coming up Black Panther. Captain Marvel is Carol Danvers. Wizards. Avengers will fight each other. Chris Pratt may someday trade quips with Robert Downey Jr. Black Widow gets an A for effort. Stop asking for Hulk movies that you won‘t go see. And soon enough we’ll enter Phase 4: The Mobius Strip, as summarized by Patton Oswalt on Parks And Recreation.